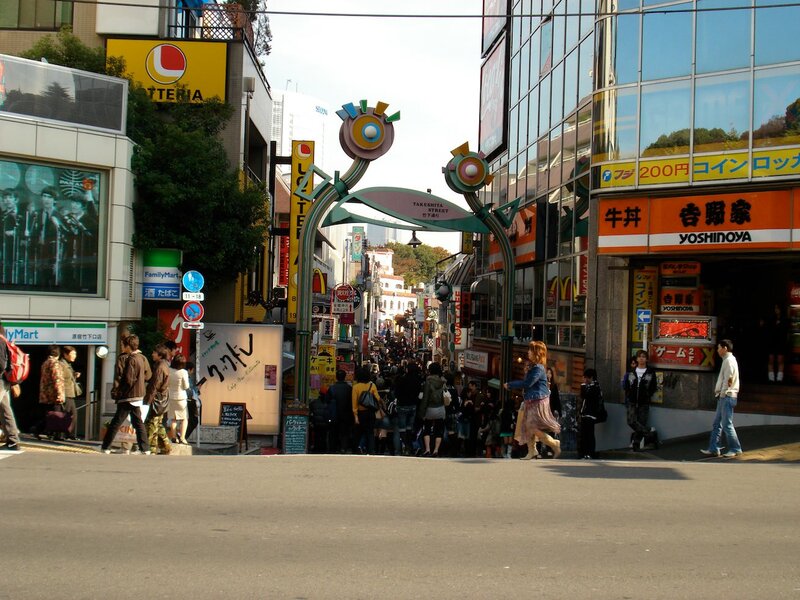 Takeshita Dori (竹下通り) is the commercial extension of the youth culture that is centered around Harujuku Station. 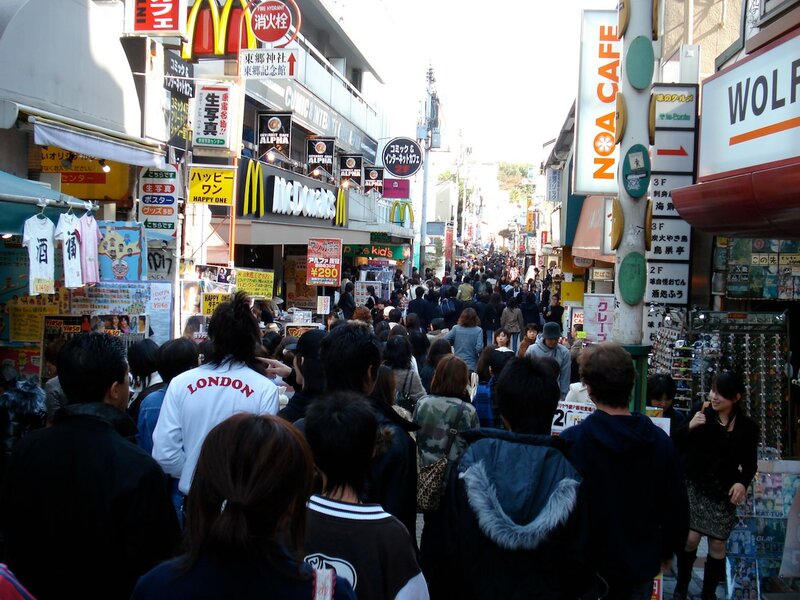 Trendy fashion stores for Tokyo teens and numerous character and idol goods stores are located along this crowded street. Rumor has it that many manufacturers test market their new designs here before unleashing them nationwide. 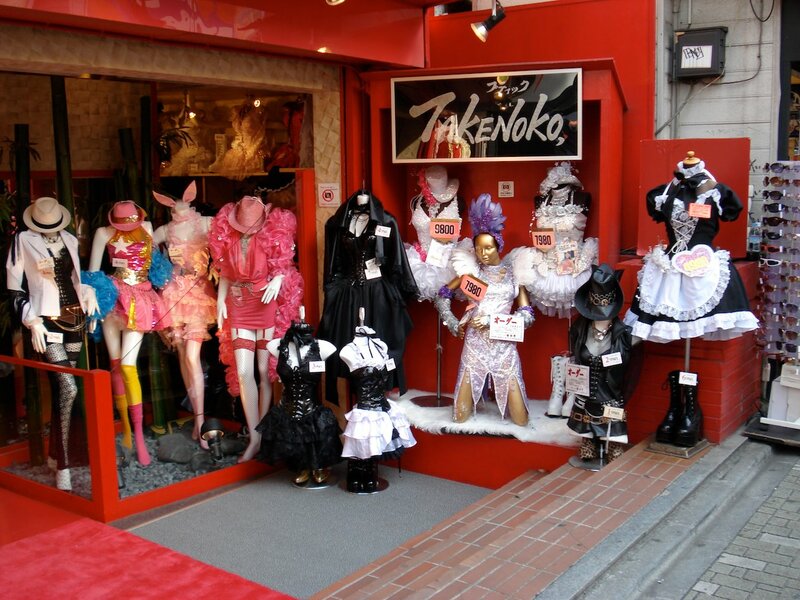 Like Yoyogi Park, many tourists go here to experience Tokyo's youth acting out and see the latest shocking fashions. If you go during the weekend, it is a safe bet that the street will be packed with people. Restaurants and cafes are wedged between the boutiques on this incredibly crowded but tidy street so you should have no problem finding something to eat. There's no real anchor store or must see attraction along the street besides the people and the street itself. Most of the boutiques are smaller independent stores. A few larger chains like Murasaki Sports, a large chain of sports gear and clothing stores, has two stores in the area. The rip off brand name goods that were easily found on the street for many years disappeared after a crackdown in 2004. Takeshita Street starts across the street and a little north from the entrance to JR Harajuku Station and runs east until ending at Meiji Dori. Turn right here and walk about block or so to exit onto the high fashion on Omotesando Street. This street also connects back west to JR Harajuku Station. 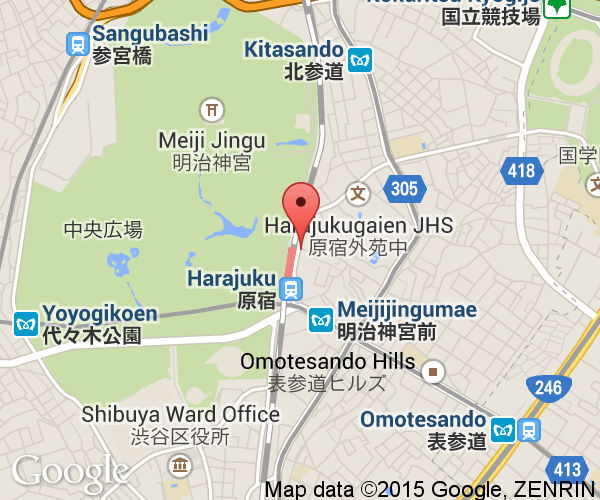 The street is a short walk from JR Harajuku Station which is on the Yamanote Line. The Meiji-Jingumae Station on the Tokyo Metro Chiyoda Line (subway) is located close by on Omotesando.